This was a coffee capsule. 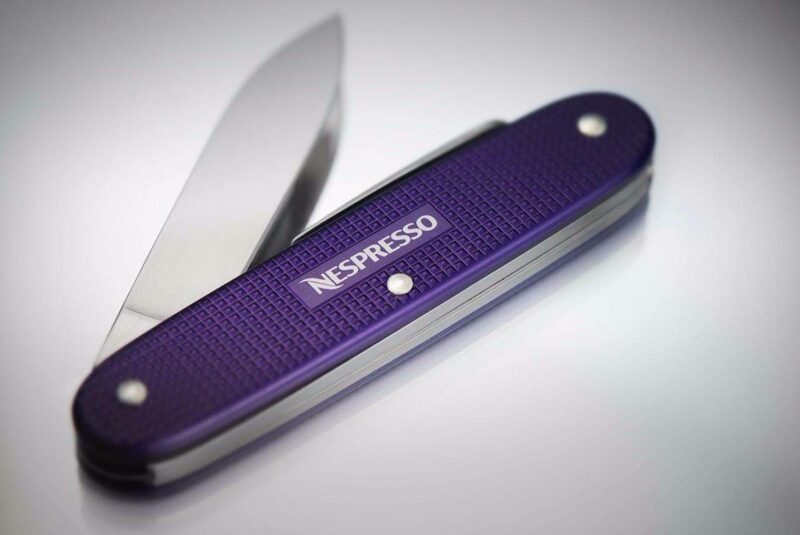 Nespresso, coffee capsules given a second life. As a company that relies on aluminium to protect the freshness and aromas of its highest quality coffee, Nespresso recognises the need for a responsible approach to the use of aluminium and its obligation to preserve natural resources. Nespresso has been investing in its dedicated collection and recycling schemes since 1991, when it launched its first recycling initiative in Switzerland. In the 25 years since then, Nespresso has continued to take an active stance in developing innovative solutions that are tailored to making recycling as easy and convenient as possible for its customers. Nespresso capsules are made from aluminium, a material that is infinitely recyclable. The technical properties and composition of the light-weight, versatile metal means it can be recycled again and again. 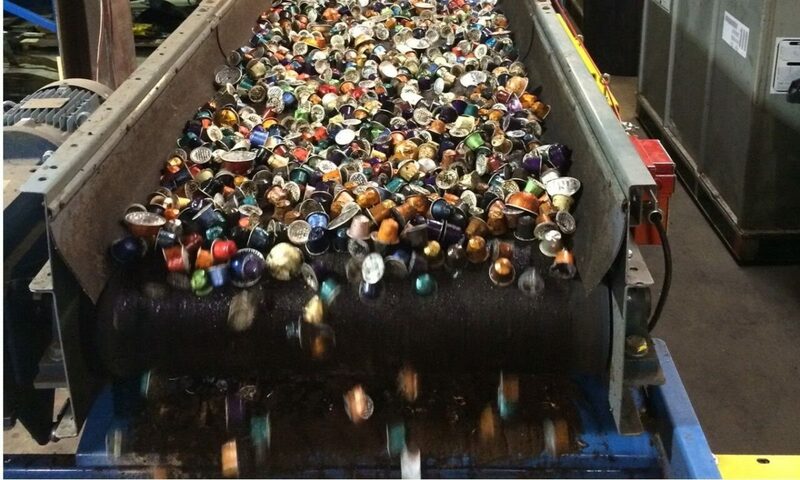 Nespresso capsules are recycled into soda cans, bicycles, computers – and even into new capsules. The coffee from Nespresso Grand Crus is also given a second life. Used grounds are separated from the aluminium, and are transformed into biogas, biofuel or a nutrient-rich compost. At the end of 2015, Nespresso reached a capsule collection capacity of over 86% in 39 countries, and aims to increase this capacity to 100% by 2020. Since consumer participation is essential to make recycling a success, Nespresso is committed to making it as easy and convenient as possible for consumers to recycle their used Grand Cru capsules. In many countries, the established collective recycling schemes are ill-equipped to separate lightweight aluminium from other packaging for revalorisation. Typically, small metal items are separated from mixed recyclable materials and are sent to landfill or incineration. Nespresso brought together industry leaders to address this issue. Working with several municipal authorities, Nespresso and its partners developed an innovative technical solution that enables recycling operators to recover small steel and aluminium items from mixed waste. Following a successful pilot programme in France, Nespresso is working with municipal and national authorities around the world to help them upgrade their operations with this technical solution.